An oasis in the Red River Gorge! The Wine Cellar cabin has everything. Cabin is currently a rental, but could also be a permanent home. Includes all furnishings. 3-bedroom, 2-bathroom vacation rental cabin located in a 300-acre private development in the heart of the Daniel Boone National Forest! Whether you're looking for wilderness adventures or a lush environment to relax in, this area has it all. 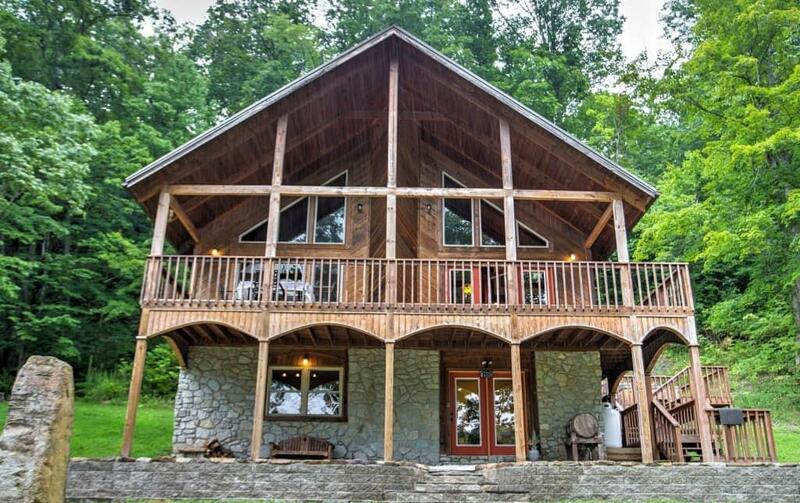 Boasting 2,200 square feet, this cabin sleeps 6 and has access to a private hiking trail, a wine tasting area, a pool table, private hot tub with 2 awesome views, and a gorgeous deck! Other Cabins and are Available. Seller will build to suit. Seller Financing Available. There is so much potential here - call today! Seller is a licensed real estate broker in KY and OH. Listing provided courtesy of Derek Blankenship of Keller Williams Greater Lexington. Listing information © 2019 LBAR Multiple Listing Service. All rights reserved.